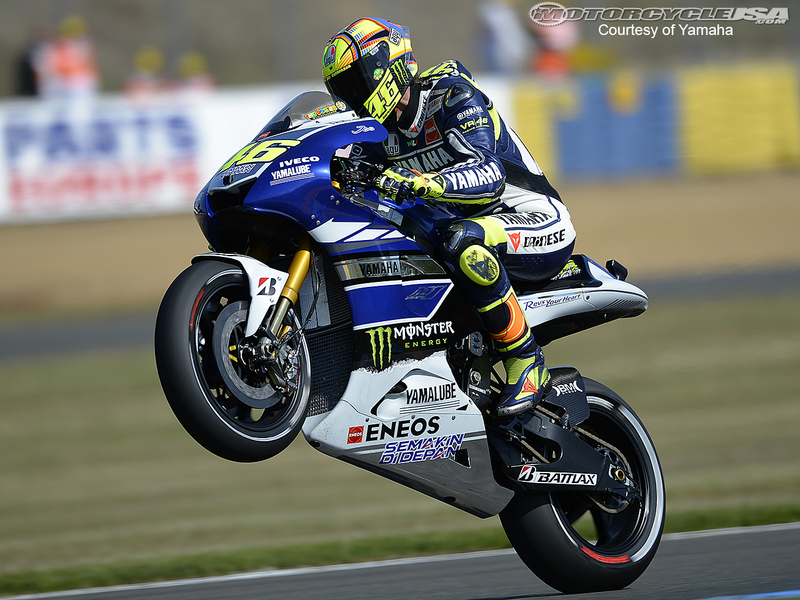 Above: Valentino “The Doctor” Rossi. I’ve gotten some requests to write a “Casey’s Medical School Experience: First Year Edition” post. So this is me taking a stab at it. The whole experience began with us arriving in Appalachian Virginia’s city of Roanoke last July. We showed up at our duplex in a quiet, suburban neighborhood called Crystal Spring. It was the first time we had seen our new home in real life, and we were pleasantly surprised by how big it felt inside. We used our phones for internet service, and slept on the floor for several days while waiting for our furniture to arrive via Amazon Prime. My first encounter with fellow VTC students happened at a welcome barbecue that was held in Mill Mountain Park, adjacent to The Star. It was a nice, student-run event where I was able to meet a lot of my new classmates and upper classmen. The official start of classes was really a week-long orientation to the school. I wore a suit every day, and it was frankly a little exhausting. Basically 8am to 5pm days all week, where we would sit through a barrage of lectures on how things were done at the school, what to expect, and how to behave. Although many of these were very boring, a lot of the instructors who gave talks seemed genuinely excited to see us. We heard from various Deans and Directors, and the Mayor even came one day. And we got free lunch for the whole week. I will admit that all the attention sorta made me feel like a celebrity in our little mountain town. Below: Medical students displaying their Friday plumage. We hit the ground running after orientation week was over. We began the routine of what is a “Mixed Systems- and Problem-based learning” type of curriculum. What that means is that we meet for “PBL” sessions in small groups of seven students and a faculty facilitator three times per week (for several hours per session) but also still have traditional lectures other times throughout the week. PBL is an interesting concept, and definitely one of the cornerstones of our basic science learning here. Each week we work on a case that is based on the experiences of real patients and physicians, with the intent of us reliving the whole thing from the patient’s first appearance in the clinic, to the conclusion—whatever that ended up being. While we progress through these timelines of events, there are points where we pause and are tasked with making our own prioritized lists of possible diagnoses, as well as coming up with what tests we would’ve hypothetically liked to have ordered, and stuff like that. And when we come across a new concept—a new disease, drug, or anything else we’re not familiar with, we put that in our list of learning objectives for the day. At the end of the session, we dole out learning objectives to each group member, and each of us makes a 15-20 minute powerpoint presentation to give to the group at the next session. In PBL you quickly learn to think critically and communicate effectively. At the end the of the week, we conclude each case by having a “wrap-up” session where the real patient (or at least a similar one) from the case comes in with their doctor who treated them, and they have an hour-long Q&A session. PBL and lectures are definitely what takes up most of my time here at VTC. But before I get ahead of myself, I should explain that what I’ve mentioned so far are things that I do as part of the “Basic Science” domain, and that there are actually three other domains that are a part of the overall curriculum here. The others are Clinical Science, Research, and Interprofessionalism. If the stuff we learn in Basic Science describes the nuts and bolts of how things work (or don’t) in the human body, Clinical Science describes how to actually approach that as a doctor would in real life. In Clinical Science we learn how to interview and talk to patients, how to perform examination techniques, and (eventually) how to do certain procedures. We generally learned how to do all this stuff in various lab sessions, practicing on each other, and then once we developed at least some level of proficiency, with professional actors (known as “standardized patients”) in mock examination rooms. 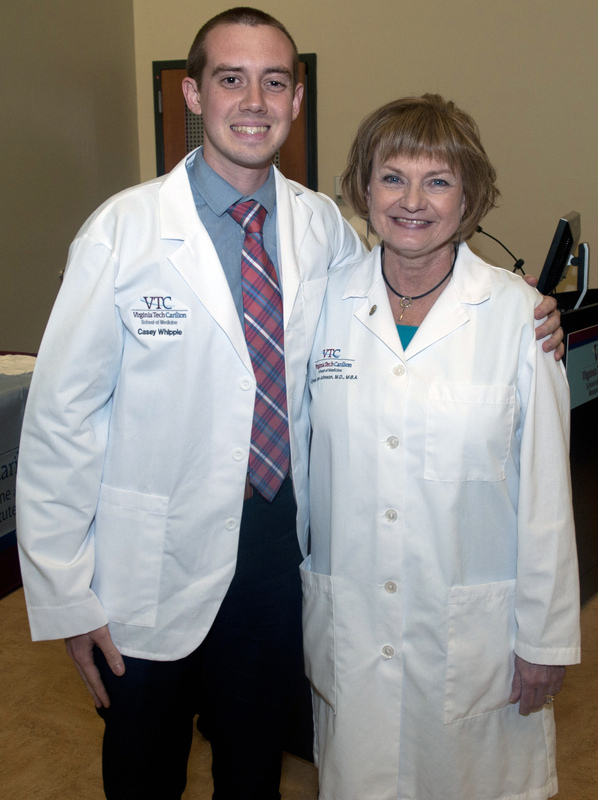 The Research Domain might be my favorite, and to me, is what really sets VTC apart as a medical school. Evidence-based medicine is what makes modern medicine work, and sound science is obviously the foundation. But this is no easy task—even if you can understand some of the jargon of a scientific paper, critical flaws in the study design might result in inaccurate conclusions and bad decisions in the clinic. It’s more important than ever for physicians to be able to be fluent in this language of science. To learn how to be “Scientist Physicians,” we read scientific papers, debate their merits and flaws, and eventually conduct our own scientific studies (a capstone research project is required). I’m going to be working with an endocrinologist, and we are going to study the interaction of hormones and types of macronutrients in normal-weight and obese people. My readings for this project have also lead me to develop a keen interest in a special place where the body stores some of its fat—the heart. I’ve talked with a cardiologist, and might also start up a side research project relating to this topic.. stay tuned for updates on that one. The last domain is one that this young school is still trying to flesh out: the Interprofessionalism Domain. Basically, the point of this domain is for us to learn how to play nice with nurses and physician assistants. We learn about team science and are put into small groups with students from the RN and PA programs. We do team-based healthcare simulations and community service projects. The four domains are supposed to be four equal pieces to the puzzle, but I think most would say Interprofessionalism is still trying to find itself. This first year flew by in a blur of lectures, standardized patient encounters, and PBL presentations. Over the course of four, eight-week-long blocks, we learned about biochemistry, immunology, and the musculoskeletal system (block 1); cardiopulmonary physiology and embryology (block 2); gastrointestinal, endocrine, renal, and reproductive physiology (block 3); and lastly, neuroscience (block 4). Next year I get to learn about all the things that go wrong with all of those parts of the body. P.S. I am happy to elaborate on anything if anyone has any questions in the comments section below. Below: The Author and the Dean. Great synopsis of what you’ve been through this past year, Casey. I really enjoyed reading that and look forward to having you and Sharell here so you can recharge for medical school year #2!!! You are amazing. I loved reading what you’ve been up to. It sounds completely exhausting, but the whole PBL thing…. working on week-long cases, and breaking them down…. so cool. Keep it up, Casey! Casey, Papa and I are sooooo proud of you! We throughly enjoyed your synopsis of your first year. We also give credit to Sharell for being “the great woman behind the great man”! Previous Previous post: Mountain Biking! Next Next post: Guess who got bit by the archery bug? !